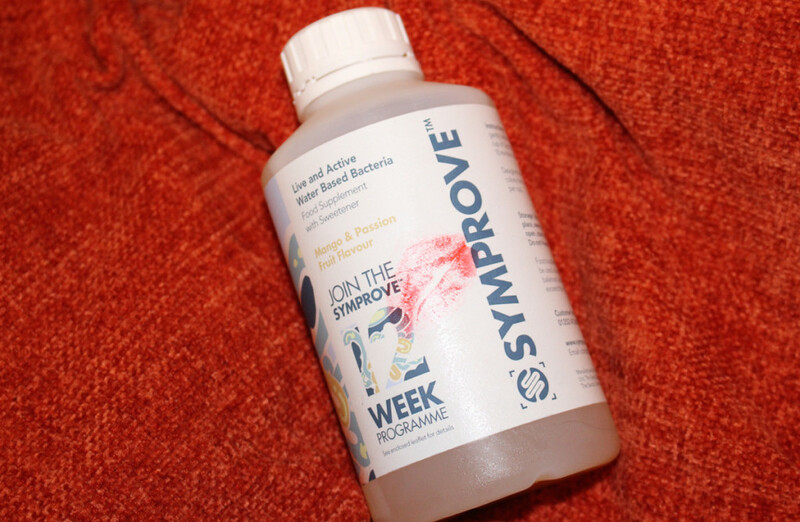 I’m just over halfway through my second Symprove trial and so far, apart from an incident where I inhaled a whole Aero bar in one sitting, I’ve been fine. It’s a miracle. Actually, I’d say more than fine. For the first time in ages I haven’t been constantly bloated. Sure, my stomach still balloons if I eat a trigger food, go OTT on the booze or totally pig out, but for once I kinda feel like I’m control. Which I can tell you makes such a change. It’s nice to be able to eat a meal without the need to unbutton your jeans after. The one thing I will say is that my stomach always tends to get worse just before and then during ‘that time of the month’, but at least I know to expect it. Diet wise, I’m finally in a good place. I swerve dairy (except a smidgen of butter), gluten and wheat and stick to oats, fresh veg, rice and potatoes – I’m a vegetarian during work hours. I stick fairly close to the FODMAP diet but am pushing it with some veg that I can’t say no to, garlic, peas and mushrooms being just three of them. Every now and then I’m tempted to order a juicy takeaway pizza but refrain. I’m finally at a place where I no longer feel like I’m missing out because the reality of my IBS kicking off for one slice of pizza is just not worth it. What I hadn’t realised until recently is that the medication I’m on as a migraine preventative, Amitriptyline, is also meant to help IBS symptoms. And that’s one thing I definitely need to look into some more. One other thing I’m loving at the moment is Samantha’s blog, The Beautiful Mouth, in particular her first vlog where she candidly talks all things IBS, you can watch it here. She’s a regular commenter in the Symprove community Facebook group and has inspired me to want to help break the taboo and join the IBS wellness resolution. I’m ready. This post is written in collaboration with Symprove.